In this day and age, you’d think everyone would have the art of email completely down. You’d think. Don’t: Never leave the subject field blank! All too often, people leave it either blank or write a vague couple of words that do not really detail what is in the email. Do: What you should do is write a brief yet accurate description of what the email message contains. The goal is to help the recipient organize their inbox by creating an accurate heading; including any relevant dates or deadlines that they may need to quickly reference. Don’t: Assume that you can write an informal email, as if to a friend. Do: Keep it professional, addressing someone as you would within an interview setting. Don’t: Attach large documents to emails, like a portfolio, resume or your cover letter, without permission to do so. This can annoy the recipient, as it will clog their email inbox. Do: Offer to send a copy of your resume, cover letter or portfolio in your initial email. If the recipient would like to see your information, he or she will request that you send it and you will be able to do so at that time. Don’t: Draft your email and send it quickly – without looking it over a few times. Do: Draft your email and reread it, checking it over several times thoroughly for any spelling and grammatical errors. Don’t: Type out your email, without clearly organizing your thoughts. Do: Organize your email into an introduction, body and closing. Your organization format should follow: •	Introduction: States your reason for contacting the person. •	Body: Details the information you’re trying to convey. •	Conclusion: Wraps up your email, including whether you will be contacting them in the future or if you’d like them to contact you. Don’t: Continually reply to their email, as it will create a long email chain that can become long and confusing. It can appear lazy, since it is much easier to constantly choose to “reply,” though the topic in the subject line is no longer relevant. Do: Create a new email with a proper subject line. If previous parts of your conversation are relevant, delete the parts of the chain that are no longer necessary to understanding the current email conversation, keeping the parts of the chain that are relevant. Don’t: Neglect to respond for days or, even weeks. Do: Respond within a timely manner. If you are extremely busy and do not have time for a proper response, email the person and let them know that you received their email and will respond as soon as you are able, giving an estimated time of when you think you’ll realistically be able to get back to them – and then do so within that time frame. 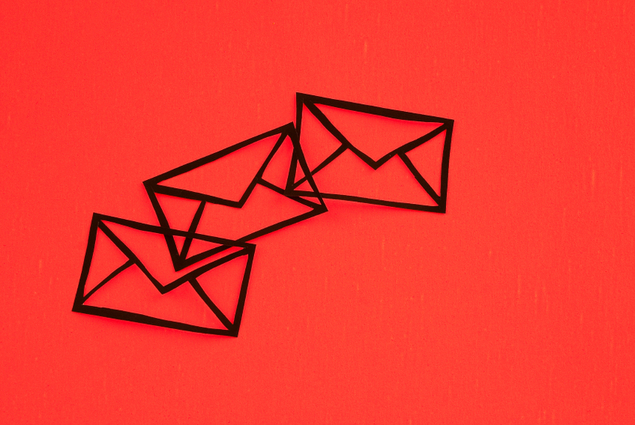 Don’t: Send a follow-up email without allowing a minimum of a few days to pass from the time you sent someone an email. Do: Send your emails earlier so that you’re not in need of a response as soon as possible. Though our culture is used to instant gratification, it is common courtesy to allow time to lapse. Once several days have passed, you can send a follow-up email.